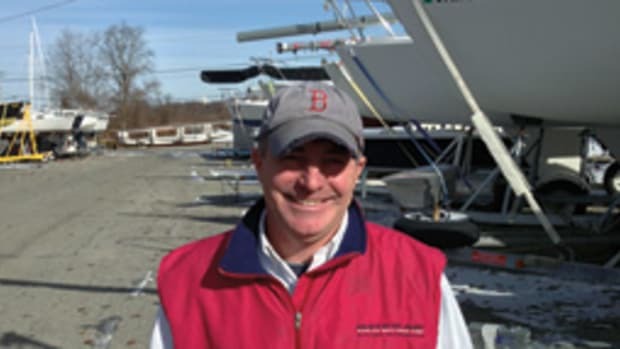 Patrick Healey rarely goes a week without fishing one of his Viking yachts. 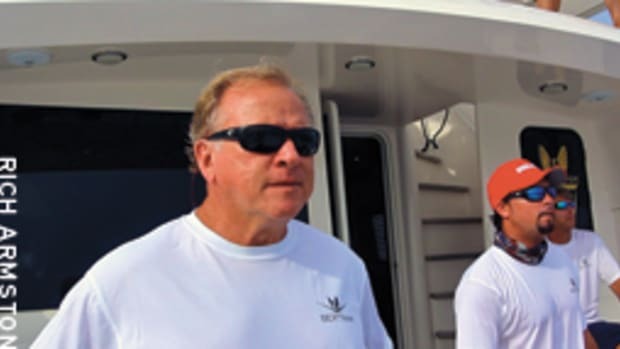 I caught up with Healey, Viking’s executive vice president, while he was in the thick of a seven-day angling bender that began by chasing sailfish off Jupiter, Fla., on a Viking 70 and ended aboard a 50-footer in a hunt for Pacific sailfish off Los Suenos, Costa Rica. 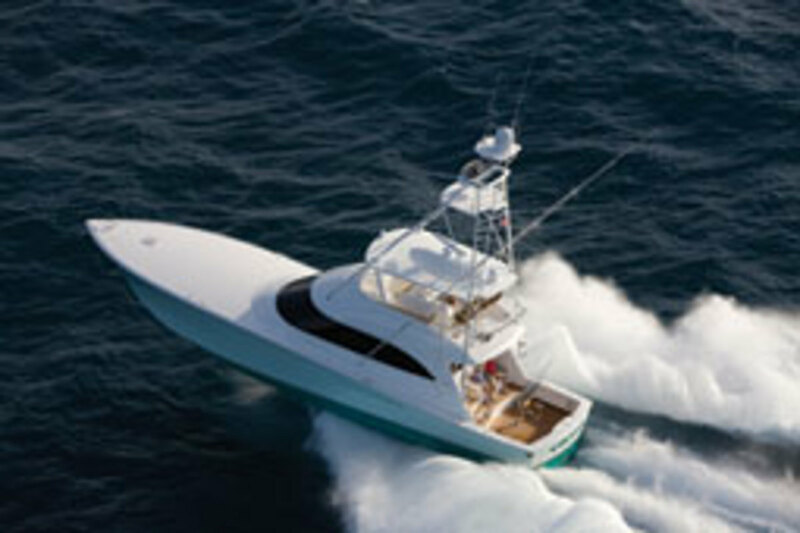 “You have to get out and use your boats to understand what your customers want,” says the 52-year-old Healey, whose bluewater experience has allowed him to take the lead in developing prototypes such as the Viking 66 Open and Enclosed Bridge convertibles that debuted at this year’s Yacht & Brokerage Show in Miami Beach (www.vikingyachts.com). Healey began working in the family business at age 13, sweeping the floors. (His father, Bill, is president and chief operating officer, and his uncle, Bob, is chairman and chief executive officer.) 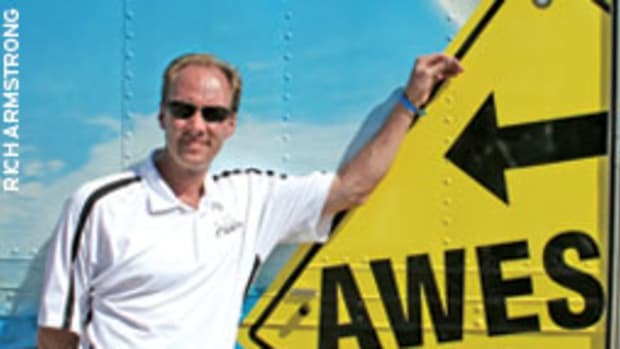 After graduating from St. Joseph’s University, he joined Viking full time, holding foreman and supervisory positions. 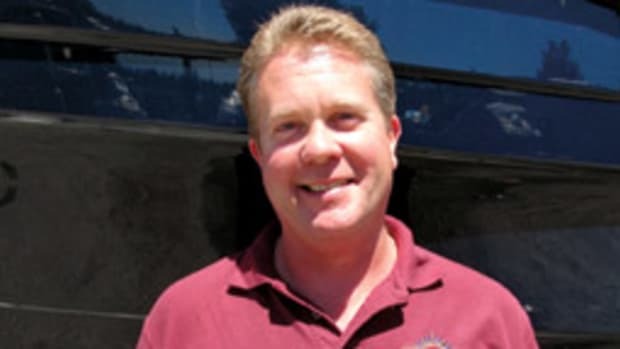 He expanded the company’s dealer network in 1992 as vice president of sales. 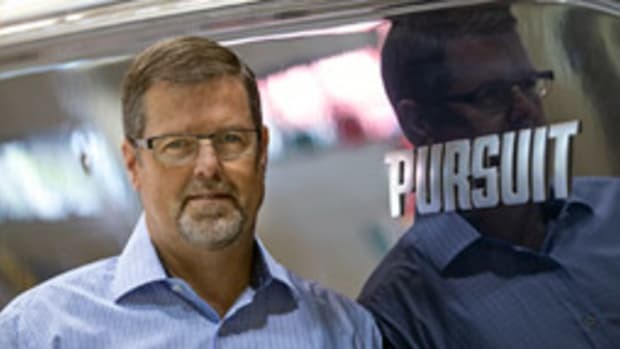 He also created the Viking Yacht Service Center in Riviera Beach, Fla., as well as its sister companies Palm Beach Towers and Atlantic Marine Electronics, to allow Viking to deliver turn-key boats. Healey has two teenage sons, Sean and Justin, who are being ushered into the business. He lives with them and his daughter, Kaitlyn, 12, and wife, Leanne, in Ocean City, N.J. 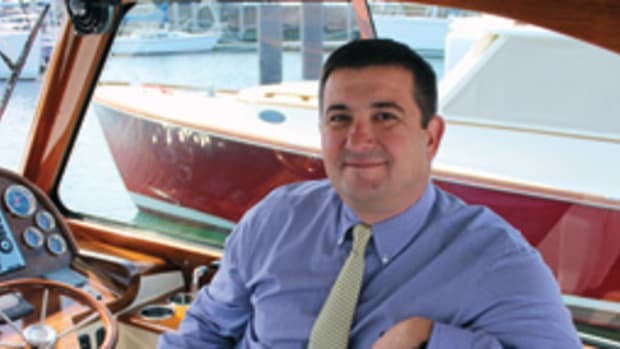 Here, the boatbuilder talks about the pluses and minuses of pod propulsion, the significant changes in boatbuilding during the last two decades, and Viking’s newest project — a yacht that nears the 100-foot mark. Q: What separates Viking from other boatbuilders? A: We go out and we use these boats. My next week will be filled with long days and short nights, but I will love every minute of it because I will be fishing and then scrambling to get to my iPad to get in a day’s worth of e-mails and phone calls. I love going out and building a product that is state of the art. As my father and uncle used to say, once you get to the pinnacle, you enjoy it and you don’t give it up. So we push this envelope harder than anybody, and we have a great team of managers who have been with us for a long time — since I started when I was in my 20s. All of our dealers are entrepreneurs and have been with us for a long time. And our vendors — we push them to be the very best. Together, we’re all in. None of us is doing this as a hobby. Another factor is private ownership. Our family has owned the company for 48 years. My father and uncle started the company, acquiring it from a small Jersey builder that went bankrupt in 1964. Today the design and ride of our boats is the best there is within the industry. So we’re trying to make these boats lighter, more efficient, and do it without making it too costly. It is a difficult thing. 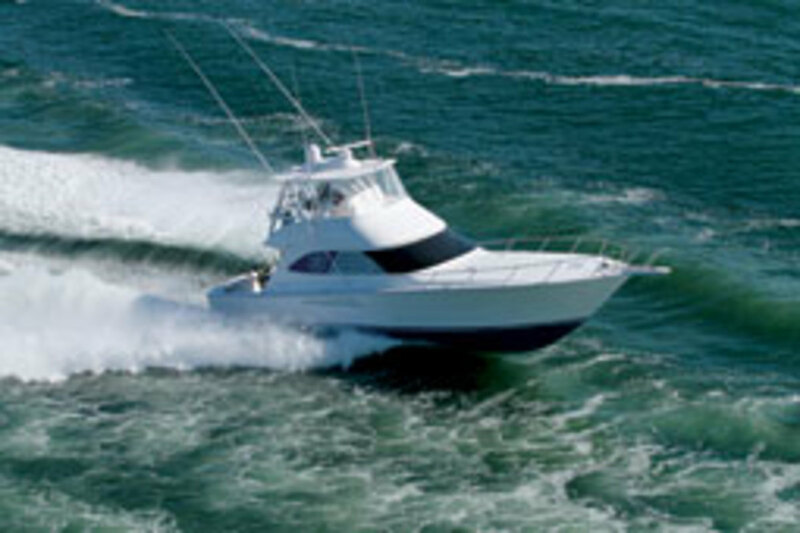 We operate in a segment of this industry that produces barely over 300 boats a year. It is probably closer to about 100 boats in this economy. And Viking is building 60 of those boats a year. Q: Which Viking model is the most successful? A: That’s a difficult question because a 42 is a $1.2 million boat and an 82 is a $7 million boat. We’ll sell 20 42s this year, and we’ll sell four or five 82s, so when you look at dollars and cents, it’s an 82. When you look at total number of boats, it’s the 42. Q: Do you see pod propulsion as a big part of Viking’s future? A: We have three different models with pod propulsion — two 42 models, the 42 Open and Convertible. The 42 has been very successful. We brought it out in 2010, and we have delivered 20 of those models, combined, between the open and convertible. I had one behind my house for about six weeks that my family enjoyed. It was interesting to see my wife and the kids operate a boat in ways they could not before. We also just came out with the Viking 50 with ZF pods and Caterpillar power plants. In time, in the next 10 years or so, I think propulsion will probably be 50-50 — half inboards and half pods — on boats up to 2,600 hp. You’re always going to have your people who want inboard propulsion. The biggest problem [pod manufacturers] have right now is the size of the pods when the engines get over 600 hp, and they are working on that, but the drag and weight is a factor. In today’s world the primary consideration in designing a boat is weight. The pods are becoming big and heavy. ZF worked hard on the Viking 50 to make that a favorable installation. I’m for marrying up a hull with the propulsion that is best for the boater in that class of boat. Right now, without question, the smaller boats, because the pods are sized properly, are a good choice for pod propulsion. With our larger boats, our design and engineering group has done such a good job maximizing the hull, the horsepower and the propellers with standard inboard propulsion that the performance gains with pods is not as great as it might be with other boats. We’re seeing a 5 to 6 percent improvement in fuel efficiency with pods. Q: What are you working on now — any new boats, new technology? A: We are in the process of designing a 90-plus-foot convertible. Since ‘08 we have delivered around 15 82s, and some of those owners want a bigger boat. The other area is lightweight construction. We want these boats to go faster and burn less fuel because that obviously is going to be an ongoing issue. Q: Are fuel prices a concern for your customers? A: Yes. It doesn’t matter how much money they have. If they think they are being taken advantage of and someone is putting it to them, they care a great deal. It doesn’t matter whether you’re worth $100,000 or $100 million; it doesn’t feel good. And that is what we are experiencing with our customers with their feeling about the fuel in today’s world. Q: What was smallest boat Viking ever built? A: It was our 33-footer. It was our first fiberglass boat — full fiberglass hull and superstructure and flybridge. And that would have been in 1973. Prior to ‘73, our boats were wooden bottoms, fiberglass tops and bridges. A lot of companies built fiberglass hulls with wood superstructures. We were the opposite. We were more efficient at building a hull than a deckhouse. 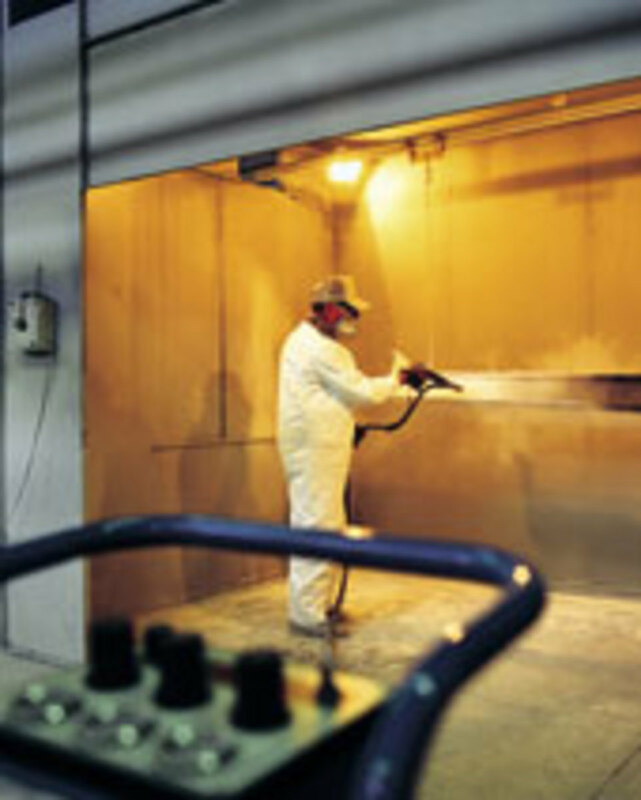 But with the popularity of fiberglass in the late ’60s and early ’70s, we went all fiberglass. 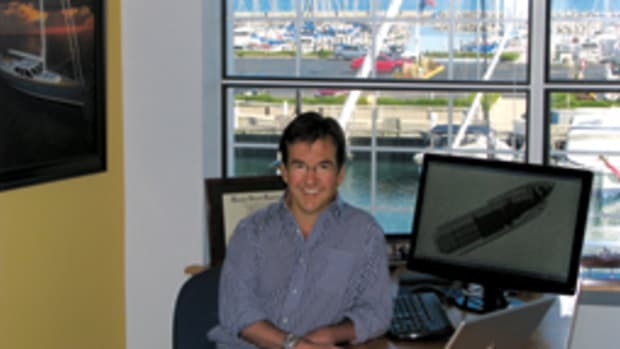 Q: How has boatbuilding changed over the past two decades? A: A boat built 20 years ago might have had 30 systems in it. Today we’re building boats with 1,000 systems. It is incredible what goes into a boat today, from automatic windows to electric doors to a pump to dry out compartments, $300,000 worth of electronics, night vision, touch-screen technology, cameras throughout the boat. Making all those systems work and continuously work is a big project. Two decades ago you had a half-dozen lights throughout a boat, and now you probably have 100. Q: What are some boats and boatbuilders do you admire? 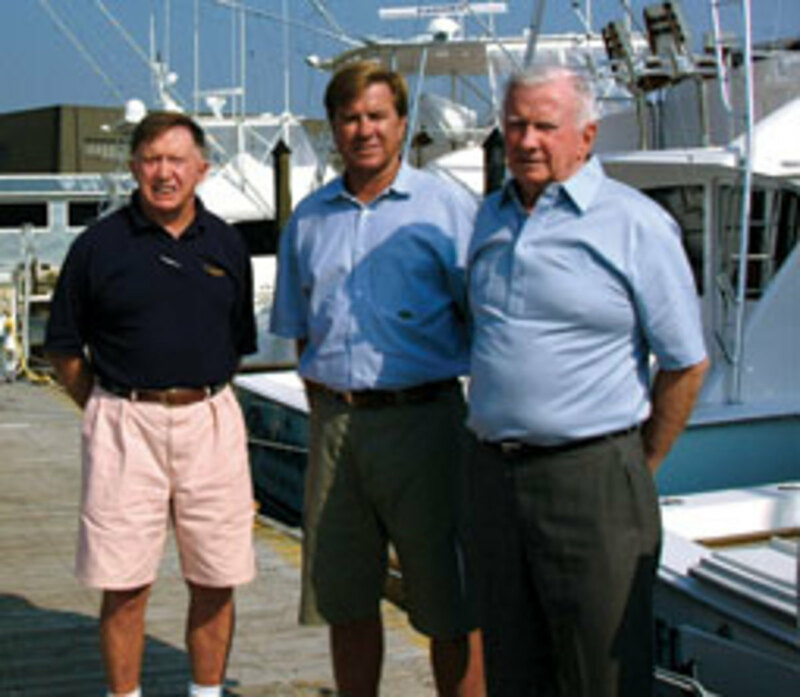 A: Roy Merritt [Merritt’s Boat & Engine Works, Pompano Beach, Fla.] is a great dean of sportfishing. Roy has done a great job bringing a lot of the concepts to boatbuilding. The guys in Carolina do fine. I would like to see the boatbuilding industry a lot stronger. Building boats in the United States is a rarity these days. A lot of boats are being imported and there are a lot of foreign ownerships even for the boats that are built here. A: It was a 14-foot Thunderbird. It had the wings and everything on it. I was probably 14 or 15, and a guy from the plant helped me get it into shape. We made patterns for seat cushions; I repainted it and put on a new rubrail. We put a 40-hp Johnson on the transom and went water skiing and bay fishing with it for three years. Then I moved on to a center console, and I haven’t been without a center console since. I fish, whether it is flounder fishing with my daughter or blue marlin fishing around the world. I chase everything. Anything with a tail on it that can be caught, I am motivated to go catch it. Q: What do you have for a center console now? A: I have a 31 Jupiter. It is amazing what the center console builders are doing today, from Bahama to Yellowfin to Jupiter. They are all pushing the envelope. 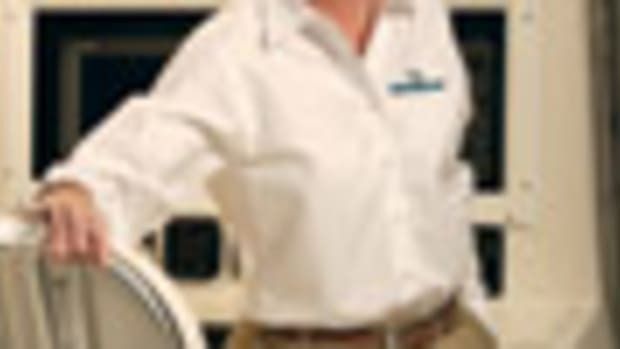 Of all the boatbuilding companies, I think the center console builders are the most progressive. I mean, building center consoles at 40 feet with four engines? That is impressive. If I could make money building small boats, I would. Q: Have you ever thought about building small boats? A: I did look at it very long and hard because I have such a passion for smaller boats. It went into a complete study, but with our overhead we could not make it work. Our facility is geared toward big boats, and it just wasn’t going to work. But, yes, we had a whole pilot program and gave it some extensive consideration in ‘05 and ‘06. Q: You started working for your father at age 13. What was that like? A: I swept the floors and I did some “green oiling.” After a wooden hull was built, you would get inside the hull with a 5-gallon bucket and a 5-inch brush and slap green oil — a wood preservative — all over the place to seal the inside of those wooden hulls. I put plugs in all the teak decks and all the planking. I would drop plugs in — mahogany plugs or teak plugs. They wouldn’t let me chip them [with a chisel]. All I got to do was put them in. They would then chip them and belt-sand them. I particularly enjoyed driving the trash truck because I was so young and was allowed to drive this huge truck around the plant. That was always a gas. My father pulled me out of bed at a young age. My sons are going through that right now. Sometimes they are not happy when they’re dragged out of bed, but when they get here they absolutely enjoy it the same way I did. Q: When did you decide you would stay in the family business? A: The first time I went for a boat ride. My father said, “This is what you’re going to do, boy. You better pay attention.” That was the education I got. I was reminded that my grandfather was in the steel business. I was reminded about how miserable the steel pile was as opposed to being in the boat business. My other fate could have been much worse. Q: What is important for boaters today? A: For my customers, comfort. They want to be as comfortable as they are in their home. They want all the conveniences. They want to be able to go long distances with their boats. They want a good-riding boat and an affordable boat. We’re at the top of the food chain, so when they say affordable, it is a $7 million 82-footer. They want it at a production-boat price, not a custom-boat price. They also want that resale value. They want to be able to trade that boat in. That is where our dealer network is spectacular. They keep our resale values high.